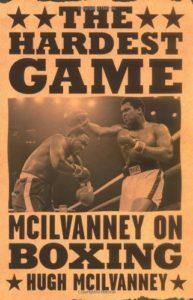 Of all the striking facts about The Hardest Game—a collection of boxing reportage by Hugh McIlvanney—one stands out above all: most of these exquisite pieces were written on deadline. Whether for The Observer, The Sunday Times, or Sports Illustrated, McIlvanney, over the course of fifty years, illuminated the often chiaroscuro world of prizefighting with erudition and empathy, subtlety and sympathy, all while eyeing the domineering timeclock. Sentimentality—the inescapable quicksand of most sportswriters—is rare, although McIlvanney does suffer occasionally from nationalist wistfulness, a prerequisite, it seems, for UK scribes. McIlvanney was influenced to take up a position on press row by A.J. Liebling, whose compilation, The Sweet Science, is both an enduring classic and a strong case of literary sui generis. Inevitably, McIlvanney finds himself a consensus runner-up to the boisterous stylings of his inspiration, despite a far more modern outlook on a sport that is simultaneously text and subtext at nearly every turn. Of course, boxing had changed drastically between the time Liebling began writing about it for the amusement of middlebrow New Yorker subscribers during the tranquilized Fifties and McIlvanney started at The Observer, but not much: McIlvanney and Liebling overlapped in the early 1960s (Liebling died in 1963) and yet the differences between the two wordsmiths are stark. It takes a rare purity of spirit to irrigate the moral and aesthetic desert that is forever threatening to engulf the world of heavyweight boxing. What we saw in Quezon City, capital of the Philippines, in midweek represented a shining flood of that purity. 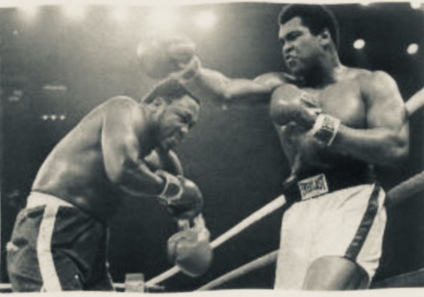 To say so is not to claim that the third and last meeting of Joe Frazier and Muhammad Ali would leave all who witnessed it ready to embrace the values of the prize-ring. Those 40-odd minutes of unremitting violence must have had the opposite effect on many. They would recoil from the thought that two men who are formidable in so many ways should seek to express themselves through an exchange of suffering, and especially that they would wince at the sight of Frazier, his marvelous body reduced to a dilapidated, lurching vehicle for his unyielding will, reeling blindly in the murderous crossfire of the world champion’s final assaults. The first thing you notice about The Hardest Game, in fact, is its tone. It is not hard-boiled, it is not knowing, it is not, as Liebling can sometimes be, flippant. Nor are there any self-aggrandizing attempts to equate boxing with writing (a trend Liebling might have kickstarted, later picked up, like a particularly strong contact high, by Mailer, Dan Halpern, and many pale academics who may or may not have ever seen the inside of a boxing gym) or puffing it up with overblown metaphors first popularized for sports by the anthropologist Clifford Geertz (in his essay on cockfighting) and then morphing into the lingua franca of Sokal Hoax post-modernists for the last thirty years. Very little is safe from the American progeny of Derrida, Lacan, and Baudrillard, and boxing is no exception, although a pursuit as plainly outre as a blood sport hardly seems to merit such mumbo jumbo. After all, boxing—concretely, not metaphorically—evokes race, class, morality, sociology, and economics at nearly every turn, and embellishing it with pseudo-profundities seems counterproductive. The drama of the ring itself—and the drama of the lives that lead so many to risk injury for uncertain rewards—is what McIlvanney illuminates time and again. As far as the symbolic externalization of certain themes and conceits goes, boxing certainly lends itself to intellectual clam chowder-ism, but McIlvanney avoids oracular pretension in favor of the things in themselves. By the time the 1990s rolled around, McIlvanney was fortunate to have more than just Alan Minter, Jim Watt, Colin Jones, Lloyd Honeyghan, and Frank Bruno to ruminate over. Strange new talents began to light up the U.K. (Chris Eubank, Lennox Lewis, Nigel Benn, Naseem Hamed) and the mock bureaucratic red tape of various sanctioning bodies added a new Kafkaesque wrinkle to parse. 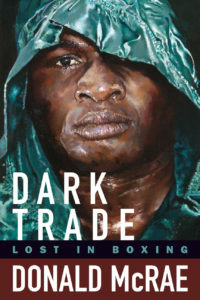 The result is an absorbing overview of the 1990s boxing milieu—both in the States and abroad—that includes some raw trial coverage of Tyson and a chronicle of the early ’90s heavyweight scene so chaotic it deserves reappraisal on several levels.